Porcelain inlay & Porcelain Outlay in Dentistry - What do they mean? What is a Porcelain Inlay/Outlay? What is a Porcelain Inlay or an Outlay? It is a custom made insert which is used to fit inside of a prepared tooth. It helps to prevent further decay of the teeth and stabilize the surrounding area. So, If you have larger cavities or have large metal fillings, then you can use Porcelain to make it more natural and function more like natural teeth. The porcelain is colored perfectly to match our natural teeth. Thus, they look more natural and pleasing than metal or amalgam. Porcelain inlays/onlays functions and feels completely like your natural teeth. They are more stain resistant. The porcelain inserts are very strong and once bonded, add significant strength to the decayed tooth. Porcelain inlays/onlays are very sturdy and thus, last a very long time. 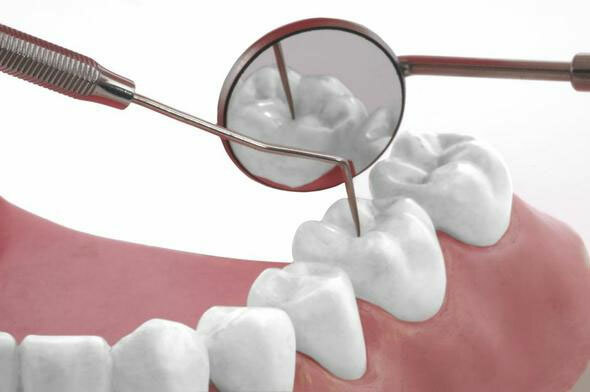 A composite filling is simply placed in the cavity and is hardened with a light or laser. It is made of a putty-like resin. Porcelain inlays/onlays are hard customs made inserts, placed in larger cavities or areas with less tooth structure. 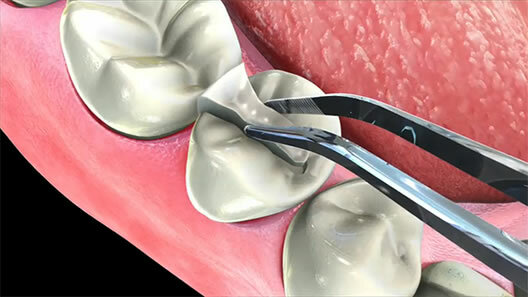 They are inserted to stop further decaying of the tooth. It makes the surrounding tooth area more prominent and structured. A composite filling is also known as direct restoration which can be done in a single visit. Porcelain inlays/onlays are indirect restorations which mean that it requires a special lab and experienced ceramist to create it. Then, during the second visit, porcelain is placed in the tooth cavity. Want to know if Porcelain Inlays/Onlays are perfect for you? Get your appointment with Sapphire Dental Centre to understand them better. Who doesn’t want a beautiful smile? Our dentists in Milton provide you with the same or more. We have the huge state of the art equipment to make your experience as confident and as painless possible.